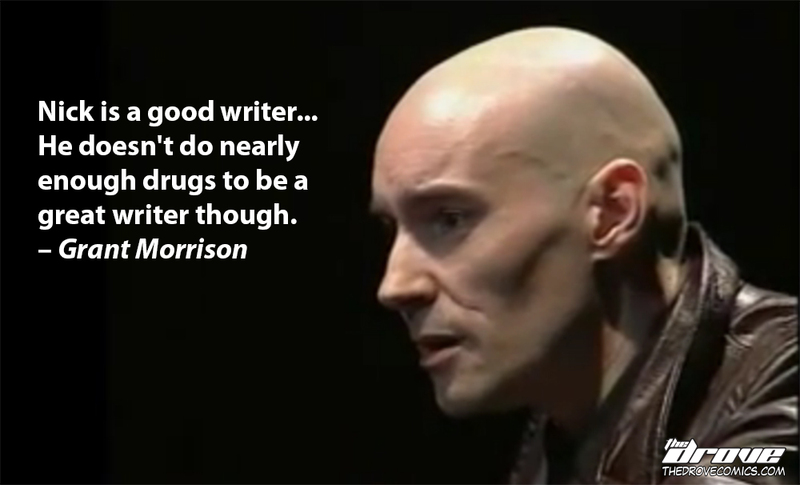 Finally, something by Grant Morrison I understand! This entry was posted in Real Celebrity Quotes and tagged All Star Superman, Animal Man, Arkham Asylum, Batman, celebrity quote, comic, Doom Patrol, Final Crisis, Grant Morrison, Magic, Multiversity, real celebrity quote, sci-fi, Supergods, the drove, thedrove, webcomic. Bookmark the permalink. ← “The Dark Bunny Returns” T-Shirts On Sale NOW!